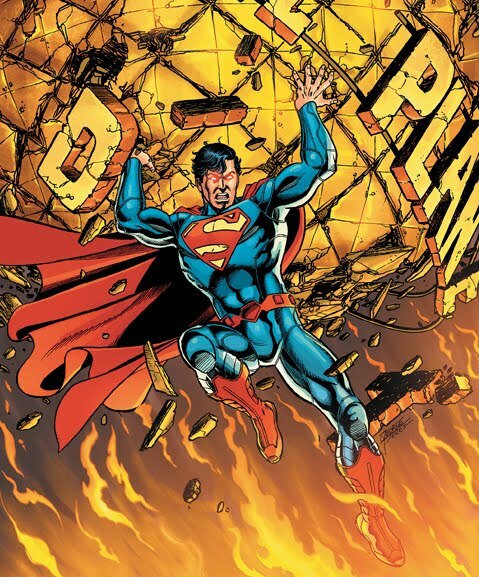 Back in June DC announced it was rebooting the entire DC Universe and giving everyone a makeover. 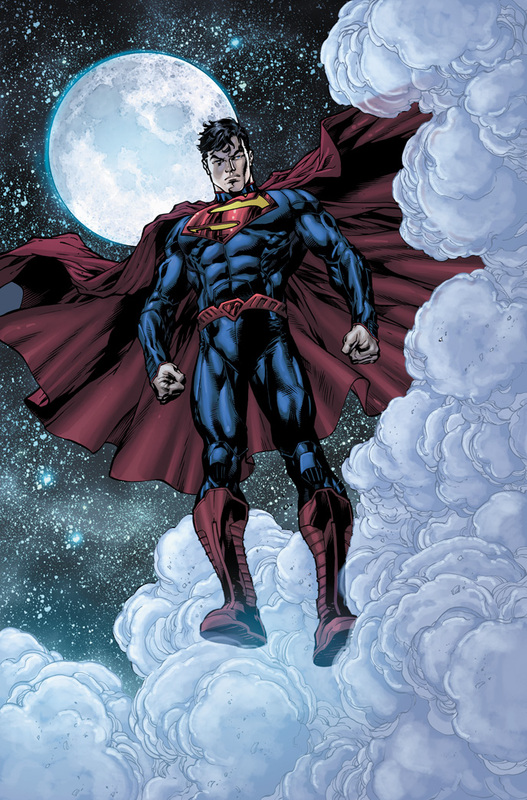 Now I have talked a lot about comic book costumes on here, so of course I will talk about these. 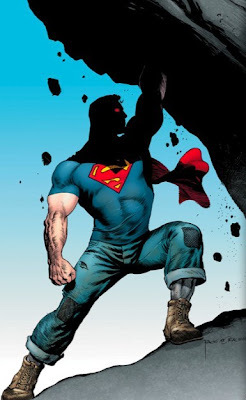 Now I was always going to talk about the new Superman comic costumes, but it just so happened that they released an image of the new Superman costume for the new movie, so I will throw that one in here too. So first up are the new comic costumes. Here is the one from Action Comics, which supposedly tell stories from his earlier days on Earth...in fact he can't fly yet, just jump. What the?!?!?!? Is Superman wearing jeans and a t-shirt? Wow. Seriously, it looks like a commercial for Wrangler jeans...Brett Favre is in trouble. And how can he be wearing a t-shirt of his logo if he is just getting in the public eye. Did he go to like Cafepress or something and said "hey, I got a cool idea for a shirt..." It just looks bad. If you have read any comments online about this costume, they are all true. This costume looks like it was ripped from the 90's with the armor. I also don't like the fact that the red "underwear" is gone. The high collar isn't the worst thing about this, so it gets a pass. 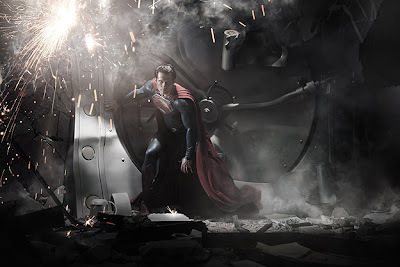 But seriously, if you are Superman...why do you have armor? Clearly, he was ok running around in jeans and a t-shirt, so why the upgrade? 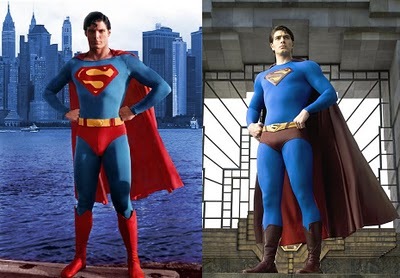 Cape is super long...I like it better than the original but I thought they got the length right on Superman Returns. The texture on the suit. What's the purpose of it? The new Spider-Man has it too...why? The hair...he needs a haircut...hippie. I felt the worst thing about the Returns suit was the small 'S'. The dark colors weren't too bad, especially on the film. I am sure more pictures will come out in the next few days and I will post them and of course give my thoughts on them.